Are You Allergic To Your Life? Are You Allergic To Your Lifestyle? 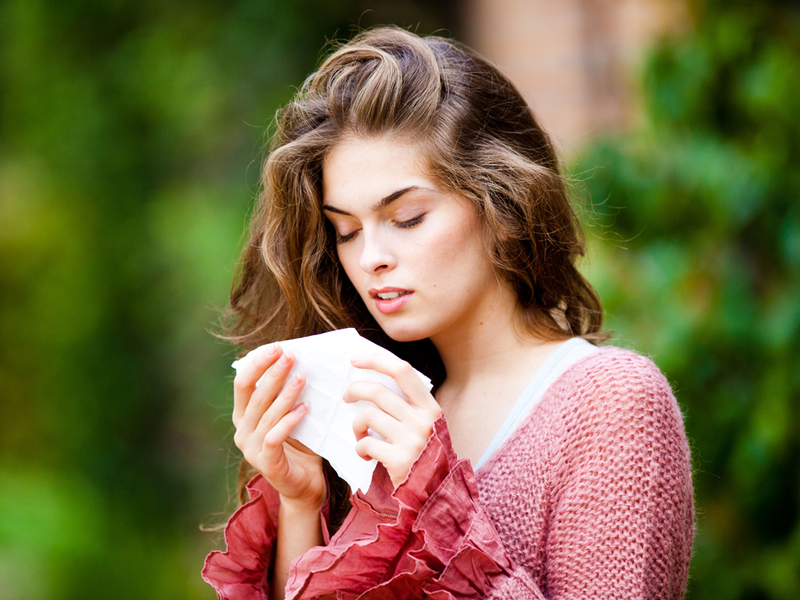 One in three of us now suffers from an allergy - and it's often the things you least suspect. You come out in a rash whenever you go to work, you get eczema from your mobile phone and the thought of putting on your bra just makes you itch. We look at some of the least obvious allergens in your environment and the first signs that you're reacting to your lifestyle. So if you’re struggling to match up a reaction to its cause, take a look at all of the tiniest of things in your routine that could be causing the problem. Think you’re doing yourself a favour by holding onto your vintage mobile? Well there’s never a better time to join the digital revolution than when you notice a rash or irritation around your cheeks and ears. ‘Mobile phone dermatitis’ has been related to nickel-containing buttons, speakers, cameras and screens on certain mobile phones – including the office favourite BlackBerrys – so repeated direct skin contact can cause a reaction. That unexplained rash on your upper back, or the bout of eczema on your abdomen that’s keeping you awake, could be down to those nickel-containing elements in your everyday garments – like your bra and the buttons on your jeans. We knew that spending money was bad for us. And now we have proof. Five and 10 penny pieces (around since 1947, might we add) are actually causing an overexposure to nickel, according to a Swedish research study. Up to 10 per cent of the population are said to be affected by a nickel allergy, most of those being women, so an increased prevalence of nickel on our skin can’t be good for developing a reaction at vulnerable times. Allergic reactions don’t always match up to a specific change in your lifestyle, making it hard to distinguish the offending allergen, as Dr David Orton explains: ‘Though artificial nails can cause eczema around the nail beds, they can also create a reaction at the “ectopic” sites, which include the eyelids and neck. Puffy, red eyelids that later become scaly are a good sign, alongside the common itchy eczema patches. Those dreamy tresses you’ve always wanted are just a set of semi-permanent hair extensions away – no need for the years of committed natural hair growth. But it might be worth paying attention to a mild reaction to latex gloves, balloons and even condoms when you book in for the all-important hair appointment. Latex glue is often used to secure hair extensions, and once they’re in, they’re pretty hard to separate from skin the moment you notice itchiness, inflammation or swelling.